Capcom has launched Super Ultra Dead Rising 3 Arcade Edition Hpyer Edition Ex+ Alpha (you read that right), a four-player co-op add-on for Dead Rising 3. 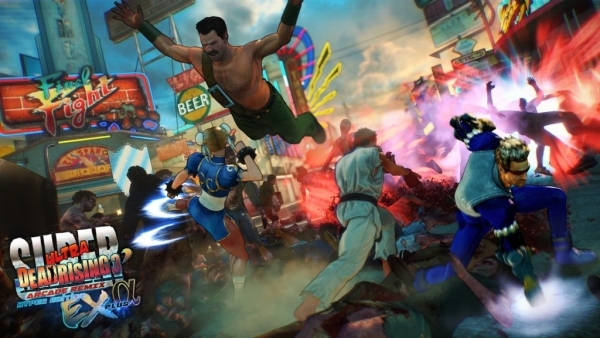 Players can play as as Frank West, Chuck Greene, Nick Ramos and Annie Greene and cosplay as Capcom characters, using their signature attacks and super moves, to save the city from zombie hordes, dangerous Shadow Bosses, and giant Super Zombies. Watch the trailer below. View some screenshots at the gallery.